We've helped thousands of small businesses across the UK find the best deal! Yorkshire Bank was founded in 1859 in Halifax, West Yorkshire. Yorkshire Bank has 182 retail branches, a strong personal customer base and a business banking capability through a UK-wide network. Unlimited deposits and withdrawals subject to available funds. Fees may apply. 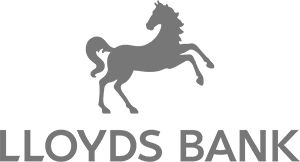 Established in 1838, Clydesdale Bank has many years of experience in dealing with businesses over a wide range of sectors. The Business Current Account is ideal for managing your everyday business banking. Tide is the business current account designed to save small businesses time and money. You can get a sort code and account number in as little as 5 minutes - with no monthly fees and a free Mastercard. Santander believes your business deserves the best and is proud to have been awarded Best Business Current Account Provider for the last 15 years and Business Bank of the Year for the last 3 years, by Moneyfacts. Santander supports small-to-medium sized start-ups, with up to two directors, owners (shareholders) or partners, which have been trading less than 12 months and are opening their first Santander Business Current Account. ANNA Money is the business current account for startups, small businesses and sole traders. We offer 24/7 UK based customer support. ANNA creates and sends sales invoices for you, and politely chases payments due too, making it easier for you to get paid on time. We only charge a flat rate of £11 per month. There are no hidden fees for payments, card transactions or anything else at all. Account set up takes less than 10 minutes, and your debit Mastercard® will be on its way the same day. Try ANNA free for three months, starting today. A CardOneBanking Business Account is a business current account designed specifically for small businesses. Even with bad credit you can now get a business current account with SMS, Phone and Online Access. Our online payment system will help you manage your money so you can keep track of your bills, invoice receipts and wages. 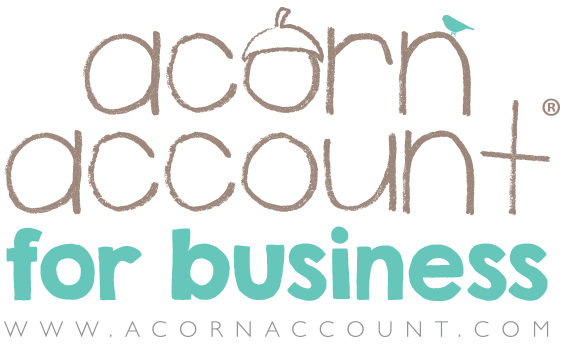 Acorn Accounts for business is part of the Spectrum Payment Group, Est. in 2007, providing personal and business current accounts. They believe that everyone should have access to a current account including customers with poor credit histories. They have processed over £3b in payments over 80,000 accounts. Est. 2004, Cashplus operate throughout the UK, providing current accounts and payment solutions to consumers & businesses. They have issued c1.9m card accounts & processed over £10b in payments. Santander UK is a financial services provider in the UK that offers a wide range of personal and commercial financial products and services. Santander UK is subject to the full supervision of the Financial Conduct Authority (FCA) and the Prudential Regulation Authority (PRA) in the UK. Santander UK plc customers are protected by the Financial Services Compensation Scheme (FSCS) in the UK. Santander believes your business deserves the best and is proud to have been awarded Best Business Current Account Provider for the last 15 years and Business Bank of the Year for the last 3 years, by Moneyfacts. Santander supports small-to-medium sized businesses with up to two directors, owners (shareholders) or partners. Countingup is the simple way to run your business. It’s your accounting and banking in one place. Think of Countingup as a business current account that automates the bookkeeping and will let you submit a tax return. It takes 5 minutes to sign up using your smartphone, there are no credit checks and it is free to get started. Account opened in 5 minutes from your smartphone. Free if monthly deposits are less than £750, otherwise £2.95 per month. Fair Everywhere makes it much easier for SMEs to do business at home and abroad. Our fair fees and ridiculously good currency rates make a big difference to your bottom line and make day-to-day management of finances and international payments simpler. Do business across borders with multi-currency wallets and ridiculously good currency rates. For a start-up, many banks will offer an introductory free banking period which means that you won’t face monthly charges for using the account! However, other fees may apply. Is your branch local enough for you to get to? It’s not always the safest option to go with your current bank unless you have done the above and it fits into your businesses criteria! If you are stuck when it comes to choosing the right business bank account, then speak to other business owners and learn about their experiences with branches in the area. Remember once you have the account, make sure you are reviewing it on an annual basis. Businesses are covered by the 7-day switcher guarantee. It’s a fact that people are more likely to divorce their other half than switch their business bank account. If you are worried about switching, then you shouldn’t be as all business accounts are covered by a 7-day switcher guarantee. (Just make sure your bank is registered with this scheme!). Ensure you know all fees relevant to your business to avoid surprises! If you are savvy enough to use online banking regularly then you may want to ask other business owners what their thoughts are on the application. Standards of online banking vary and no one wants to go backwards when they are trying to move forward. If you are having trouble setting up a business bank account or switching from your current one, then there are still options available where you can avoid credit checks. Fees on the account can be paid monthly or annually. The account is simple and easy to use and it can also be cheaper than a standard business bank account! A business bank account is essential for any business – whether you are a contractor or a large firm with thousands of employees. There are many business account options with different account features based on your specific needs, including overdraft options, online banking, free business banking and interest on in-credit balances. As with personal bank accounts, it is important to shop around for the bank account that is the best fit for your business. Majority of businesses currently use the high street banks for their business bank account and although this isn’t necessarily a bad choice, it is very important to shop around to make sure you’re getting the best deal. There are some reputable alternative bank account providers becoming more and more popular in today’s market and it’s always worth considering all of your options before making a decision. Interested in a business bank account? Why not try out our bank account finder? 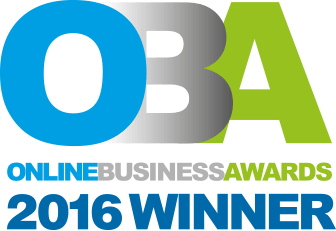 This is a free, no-obligation tool that will help you find the most suitable account for your business. Many banks offer support including things such as; dedicated account manager, mentors and guides to help both start-ups and small businesses. Many accounts include online business banking to help you manage your money and payments on the move, giving greater control of your finances. If a business overdraft is important to you, a lot of bank account providers include the option to add an overdraft if you choose to. Whether you want advice or you'd like to apply for a business bank account, we're here for you.